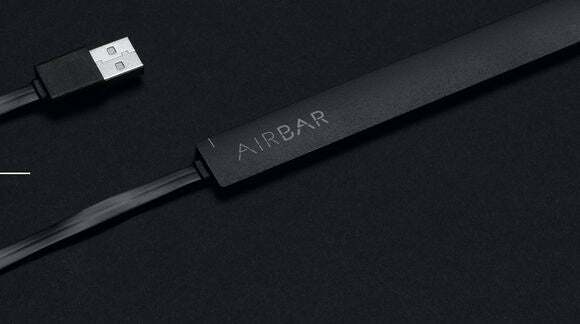 Neonode's AirBar is the latest PC accessory that wants to make traditional laptops all touchy-feely. Ever since Microsoft so heartily embraced finger-friendliness with Windows 8, accessory makers have been striving to figure out a compelling way to add touch capabilities to non-touchscreen displays, be it in the form of fancy styli paired with infrared receivers, gesture control scheme like Leap Motion, or touch-sensitive overlays that you plop on your laptop’s display. But sadly, every single solution has been either lacking in functionality or just plain overpriced. 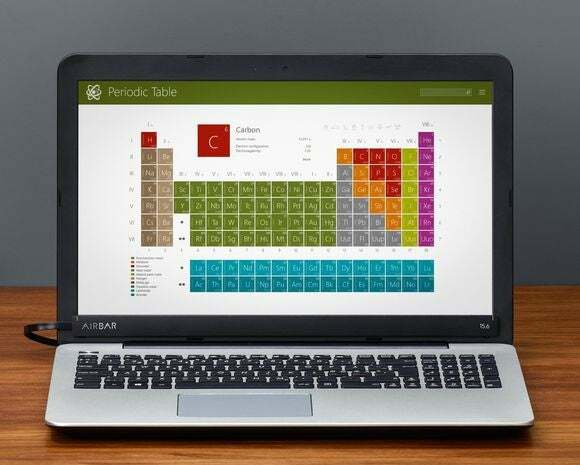 The AirBar’s a slim sensor that magnetically latches onto the bottom of your Chromebook or Windows laptop’s display and connects via USB. Once it’s hooked up—Neonode says it’s plug and play, with no extra drivers necessary—the device casts a beam of light across your screen, and you can poke, pinch, zoom, swipe and scroll around with your hand the way you would on a touchscreen PC. Since the AirBar’s powered by light, rather than touch, you can use it to interact with your laptop in ways that traditional touchscreens don’t allow, such as with a glove or even chopsticks, as this video shows. Unlike some of the other impromptu touchscreen solutions out there, AirBar won’t break the bank, either. You can preorder the sensor on the AirBar website right now for $50, though the only model available currently works with 15.6-inch laptops alone. The story behind the story: AirBar’s price is certainly right, but that’s only one part of the equation with input as visceral as touch. The device has to nail the feeling of actual touch input if it truly wants to succeed. Will it pull it off? Neonode’s going to be showing off the AirBar at CES 2016 in a few weeks, where we’ll hopefully have a chance to poke and prod it ourselves.